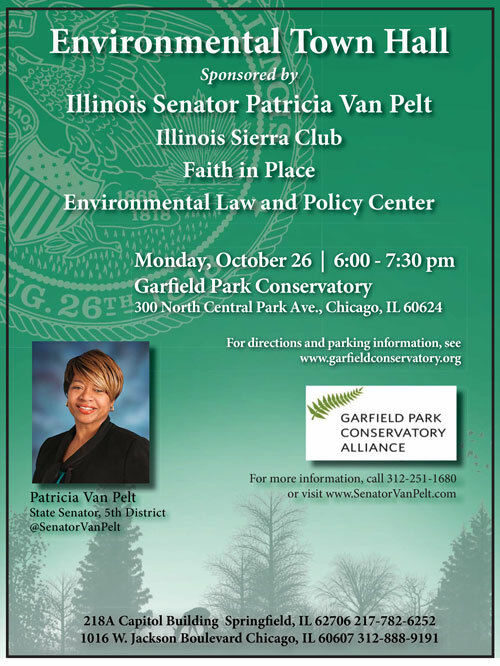 Senator Patricia Van Pelt will sponsor an Environmental Town Hall with the Illinois Sierra Club, Faith in Place and the Environmental Law and Policy Center. 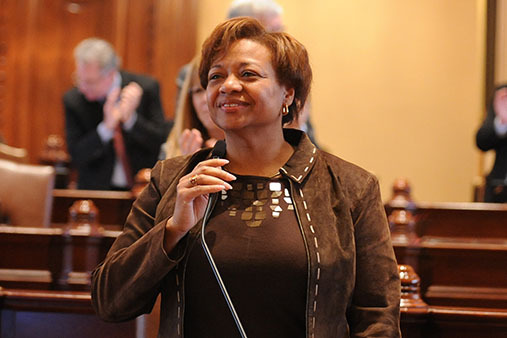 This is an opportunity to hear Illinois’ top environmental leaders give their up-to-the-minute analysis of environmental and conservation issues, including the status of legislation that would create 32,000 new jobs a year in energy efficiency and clean power. Come explore issues that have an impact on the health of your family, as well as on the health of the natural world. Monday, October 26, 2015 from 6pm to 7:30 pm. 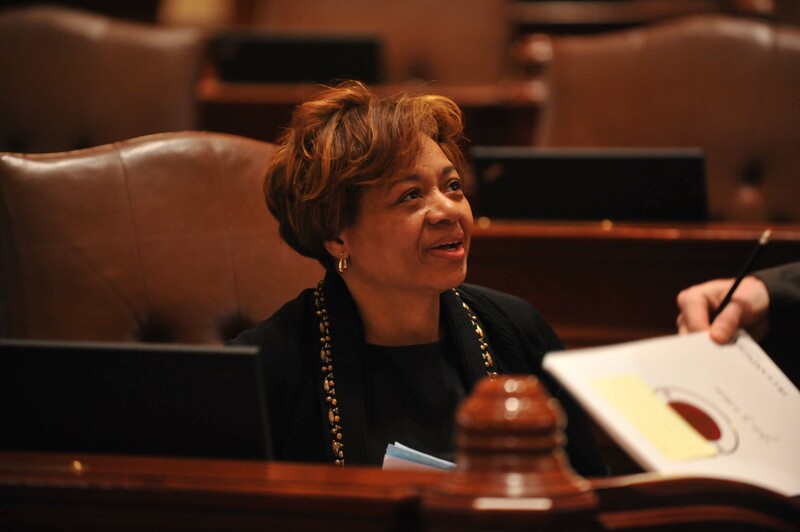 For more information, call (312) 251-1680. By car: Take the Eisenhower Expressway (I-290). Exit at Independence Boulevard (Exit 26A) and travel north. Turn right (east) onto Washington Boulevard. Turn left (north) onto Central Park Avenue (3600W). Travel two blocks north past the Garfield Park Golden Dome field house and the Lake Street public transit line. The Conservatory is on the west side of the street at 300 N. Central Park Ave.
By train: Take the Green Line to the “Conservatory” exit.